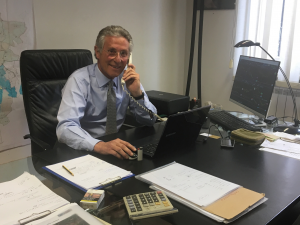 Guido Venturini Del Greco has been involved in the finance world since 1974. He was responsible for Futures and Forex trading for the Ferruzzi Group, Member of the Executive Committee of Cominvest SpA, Chairman and CEO of the Swiss companies Refco, part of the Refco Group, and Coprigest SA, an asset management company. In 2004 he founded in Rome, together with Andrea Carboni, one of the first Fee Only financial consulting firms in Italy. Today he handles investments in key markets and serves Clients around the world. Andrea Carboni entered the financial market in 1984 in New York as broker in Dean Witter, one of America's leading brokerage companies. 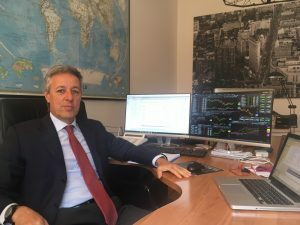 He was in charge of Futures and Derivatives Brokerage in Italy for Dean Witter and was Director of the Italian Branch of Refco, a major global derivatives broker. In 2004 he founded in Rome, together with Guido Venturini Del Greco, one of the first Fee Only financial consulting firms in Italy. Today he handles investments in key markets and serves Clients around the world.